WASHINGTON COUNTY — An injured juvenile golden eagle was found by a passing motorist on Old Highway 91 around mile marker 13 Thursday afternoon. 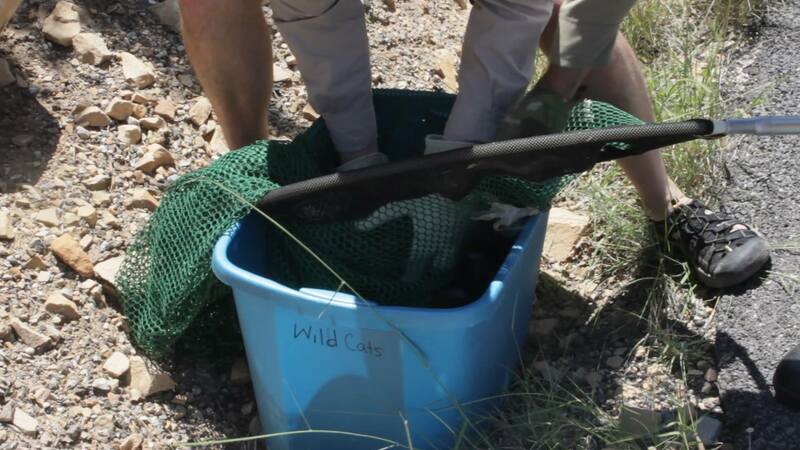 A Utah Division of Wildlife Resources biologist caught the injured raptor and transported it to be rehabilitated. Two Washington County Sheriff’s deputies arrived before Edwards and guided the stricken bird off the highway, where it took shelter beneath a rock face. Edwards arrived, armed with leather gloves, a large net and a plastic tub. 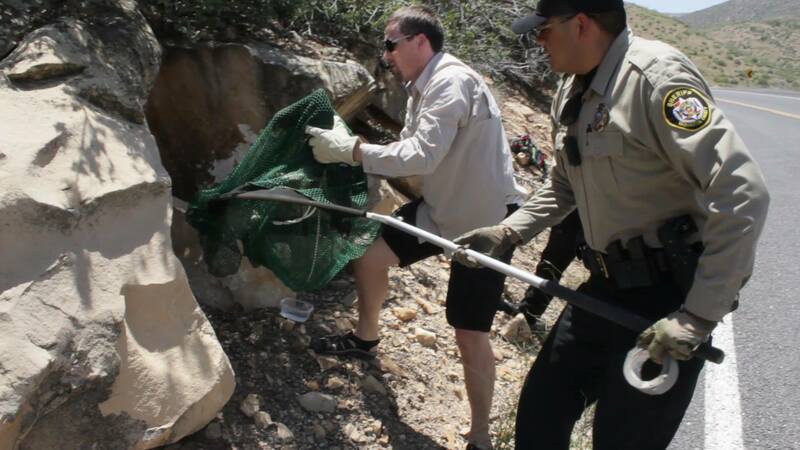 He captured the bird with the net and with the assistance of the deputies, placed the struggling eagle in the tub. Edwards used copious amounts of duct tape to seal the tub, due to the animal’s great strength. A local falconer licensed to care for raptors would be taking care of the eagle. Edwards said the Red Cliffs Desert Reserve would assist in its rehabilitation. 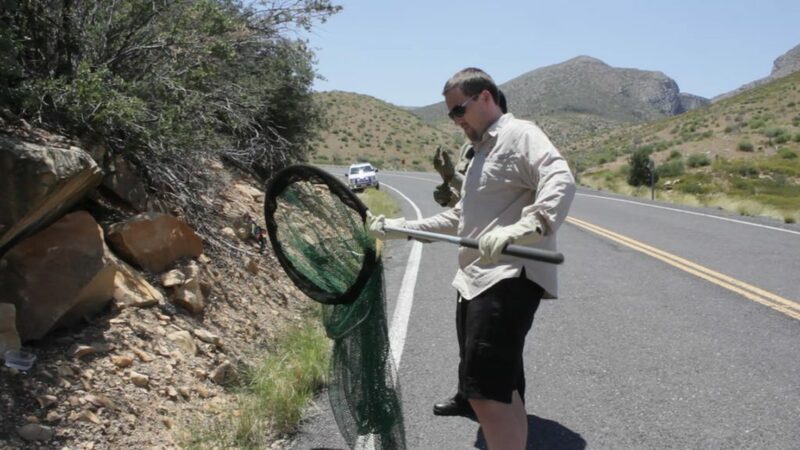 While calls for injured wildlife come to the Division of Wildlife Resources regularly, Edwards said it is less common to field calls about injured eagles. The person who made the call about the eagle did the right thing, Edwards said. If an injured bird, especially a raptor, is found, the best bet is to call 911 or call the Division of Wildlife Resources. 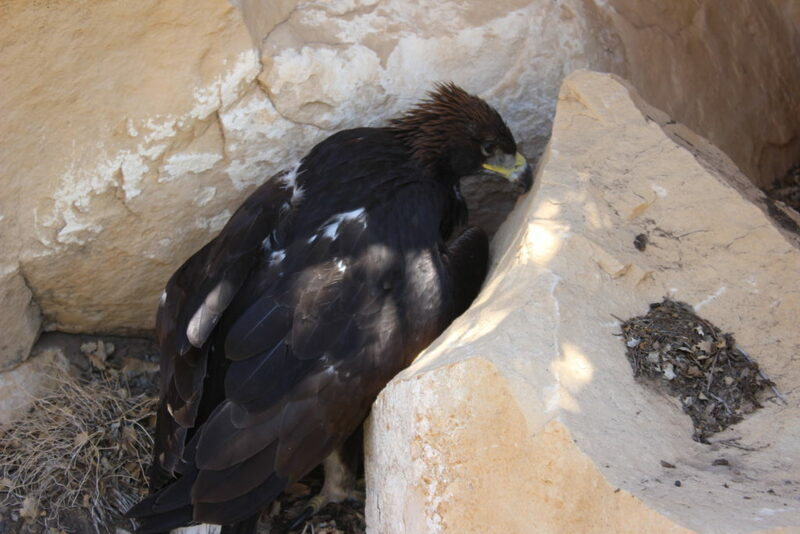 According to National Geographic, golden eagles are the largest bird of prey in North America. They range from 33 – 38 inches in height and have a wingspan that can vary from 6 – 7 1/2 feet. They weigh anywhere from 6 to 15 pounds. In the wild, they can live up to 30 years. Once hunted by ranchers who thought they were killing their livestock, golden eagles are now under federal protection.